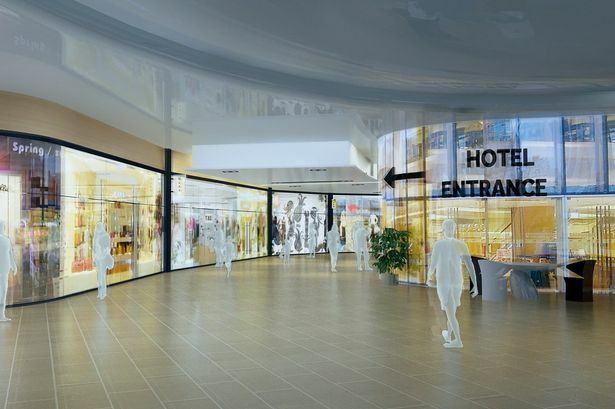 Two global retail brands have signed up to open giant stores at the Resorts World Birmingham at the NEC . Nike and Gap Outlet have signed deals to become anchor tenants within the 50 unit outlet centre that forms part of the Resorts World Birmingham offer. The outlets account for 100,000 sq ft of the complex’s total floor space of 450,000 sq ft. The two deals are the first to be completed and a further three retail tenants are currently at advanced stages of completing their agreements. Earlier in the year, Cineworld were announced as operator of the 11 screen cinema within the Resorts World Birmingham complex. Genting UK, which owns the £150 million leisure and entertainment complex, has also confirmed it will operate the 178-room four star boutique hotel, which will be branded as the Genting Hotel, as well as the bars located on site. The hotel will also have a Malaysian themed spa and there will be a Vox Conference Centre nearby. The complex will also have 11 restaurants and a spokesperson for Resorts World said negotiations were currently taking place with a wide range of food and beverage operators. Steve Myers, managing director of development for Genting UK said, “The signing of Gap Outlet and Nike is a significant step towards to the delivery of our vision for the first Resorts World to open in Europe. The scheme is now 70 per cent let and we will be announcing further exciting brands that will join us at Resorts World in the coming months. “Resorts World equates to a direct investment of £150 million into not only the NEC but the West Midlands region by Genting UK.